Wyoming Territory 150th Anniversary - Wellington LTD. In 1807, John Colter set out to explore and trade in what is now Wyoming. His travels allowed for maps to be made and a basic understanding of the land. 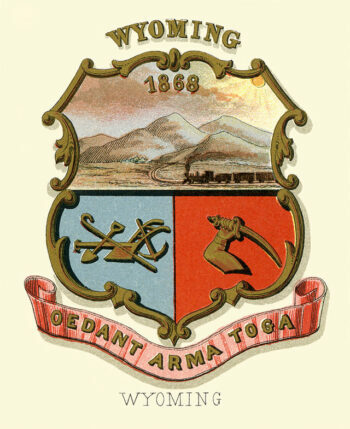 The Wyoming Territory was then organized in 1868. During that time, the Transcontinental Railroad was working its way westward from Nebraska. Hell on Wheels towns’ were popping up throughout the territory as the railroad continued to lay track. Towns like Laramie, Rawlins, Green River and Evanston were all founded the same year. As time progressed, the territory would turn into what is now the state of Wyoming. Since 1868, the area has bolstered a unique heritage and is now known as the Cowboy State. The nickname is quite fitting due to the independence and grit of its residents. Due to this legacy, we are proud to introduce the Wyoming Territory 150th Anniversary Henry rifle. This lever action is chambered in 45 Colt caliber to stay true to its cowboy origins. The entire rifle has been plated in 24 Karat Gold as well as Nickel and Black Copper to accent the images on the receiver and buttplate. All of the artwork was created to fit the rifle precisely and is a true custom piece. 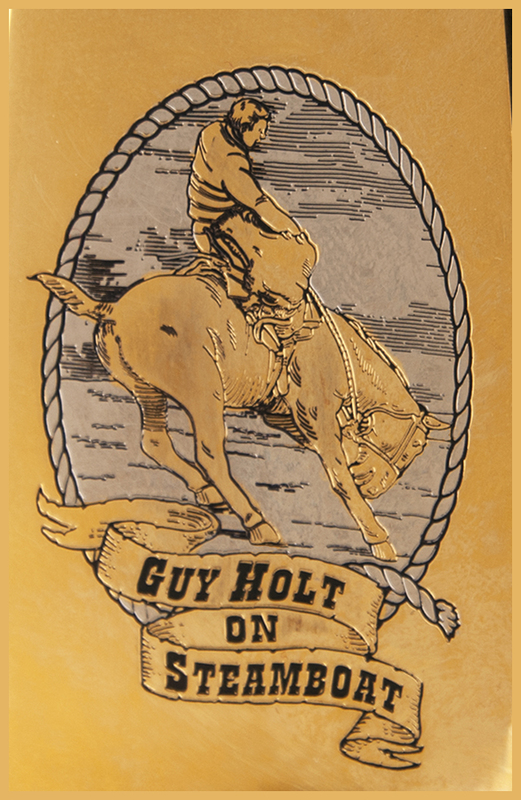 This heirloom item will be a limited edition with only 86 numbered rifles being produced. That is less than 4 rifles per county in the state of Wyoming. Do not miss your opportunity to own this one-of-a-kind firearm. Pictured above is the right and left side of the receiver. There are 3 layers of plating used to bring out the images. We use 3 precious metals, 24 Karat Gold, Nickel and Black Copper. The amount of detail is impeccable. Feel free to click on the image to make it larger. Interested? Contact us today to get availability and pricing information.